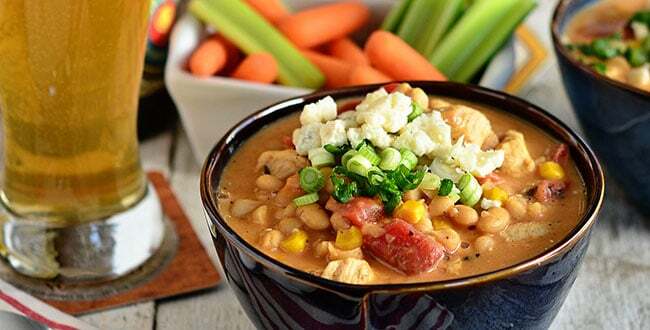 This easy Buffalo Chicken White Chili recipe is a keeper! It has a nice mild heat from the buffalo sauce and fire-roasted tomatoes, while the sweet corn, Bush’s White Chili Beans and ranch dressing mix really make this chili something special. It’s perfect to warm you up when the temperatures are chilling. I hope this gets added to your dinner rotation! I know it has a spot in ours. Do you ever get in a dinner rut and make the same things over and over? If you’re like me, you probably have a handful of recipes that show up frequently in the dinner rotation. This Buffalo Chicken White Chili is now in that rotation at our house! My husband and I fought over the leftovers and that’s after we ate it for dinner two nights in a row! In January and February, after the holiday madness, I appreciate the simplicity of a big pot of chili for dinner. You basically throw everything in a big pot and let it simmer……. the longer the better. Buffalo Chicken White Chili is creamy, rich and bold. It fills you up and keeps you warm. 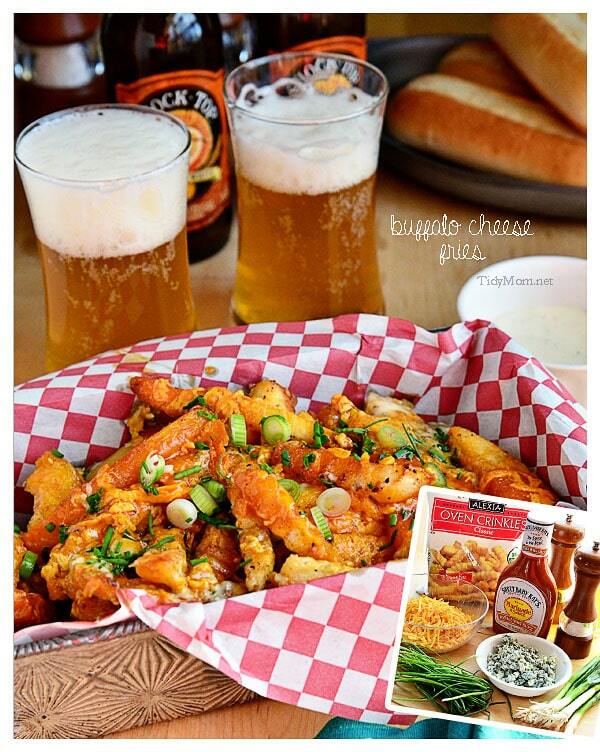 I took our favorite White Chili recipe and gave it a buffalo chicken twist, that scored big!! Bush’s White Chili Beans, Great Northern Beans in a mild chili sauce, serve as a flavorful base and have become my favorite part of any white chili I make. 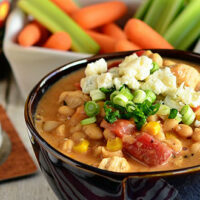 CHECK OUT HOW EASY THIS BUFFALO CHICKEN WHITE CHILI IS TO MAKE! WATCH THE VIDEO! Looking for more chili ideas? 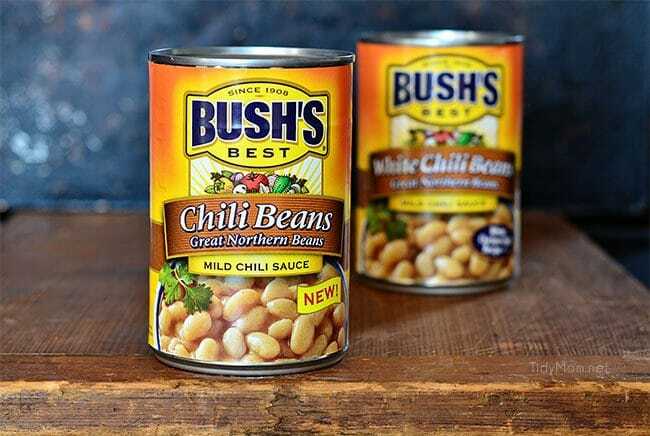 My friends at Bush’s® Beans have teamed up with The Daily Meal to bring you the ultimate chili tips for making delicious, crowd-pleasing chili. Chili is the ultimate one-pot meal, the Chili Guide will provide inspiration and answers to everything chili. Chipotle Chicken Chili recipe If you like a warm spicy flavor, then I think you will really dig this Chipotle Chicken Chili from Aggie’s Kitchen. Asian BBQ Chicken Chili recipe at Dine and Dish. Chicken Chili gets a boost of Asian flair thanks to Bush’s Beans limited edition Asian BBQ Beans! Bacon Pineapple Chili recipe at Reluctant Entertainer. This chili recipe packs quite a bit of punch, for only a few ingredients, which makes it not only a quick meal to make but it’s so easy, anyone would feel like a master chef after completing this recipe. Roasted Butternut Squash Black Bean Chili recipe at Good Life Eats. Roasted Butternut Squash Black Bean Chili is something hearty and simple to prepare that can be made earlier in the day and kept warm in the crockpot while you go about your day…and it is great as leftovers! Barbecue Chicken Chili recipe at Mommy’s Kitchen. This hearty chicken chili gets it’s sweet-smokey flavor from the addition of Bush’s Kidney Chili Beans, barbecue sauce, and spices. Salsa Chili recipe at Real Mom Kitchen. Both the salsa and the chili beans are full of flavor. You can also adjust the heat by the type of salsa and chili beans you use. Poblano White Bean Chili recipe at She Wears Many Hats. This is a hearty white bean chili with a depth of flavor and just enough heat from poblanos and red bell peppers to not overwhelm. It’s certainly a nice balance of flavors. Like this Buffalo Chicken White Chili? PIN IT! 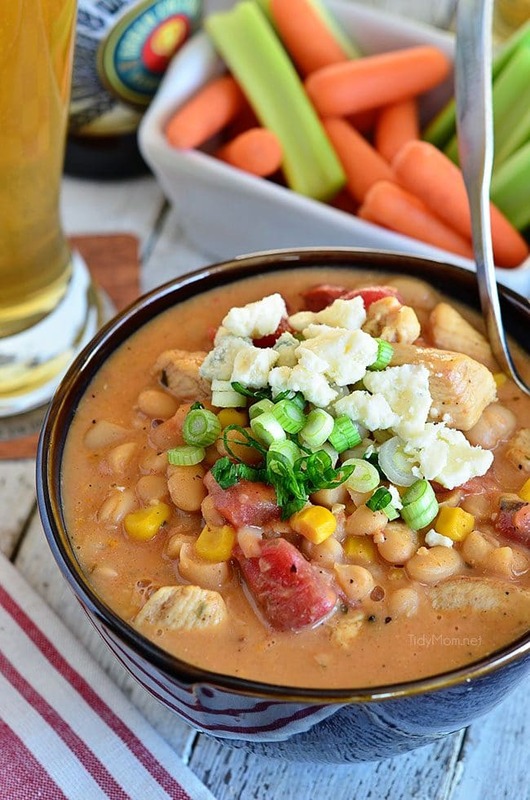 This easy Buffalo Chicken White Chili recipe is a keeper! 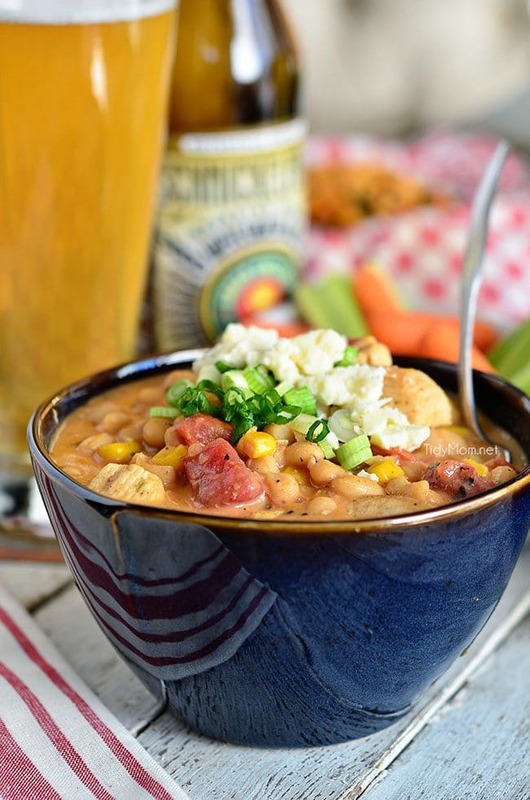 It has a nice mild heat from the buffalo sauce and fire-roasted tomatoes, while the sweet corn, Bush's White Chili Beans and ranch dressing mix really make this chili something special. Heat your oil in a dutch oven over medium heat, add garlic, cumin, celery salt and taragon. Saute for about 3 minutes. While that is sautéing, season cut chicken with salt and pepper and add to the pan. Saute for an additional 5 minutes, until chicken in cooked through. Add beans, chicken broth, buffalo hot wing sauce and cream to pot, stir to combine. Add ranch dressing mix, tomatoes and corn and stir. Simmer for about 10 minutes, then cook on low for at least 30 mins. Disclaimer: I grew up in a house that used Bush’s Beans. I am now fortunate to have an ongoing relationship with them as a brand ambassador for the past 5+ years. This post is sponsored by Bush’s Beans, but as always, all opinions are my own. 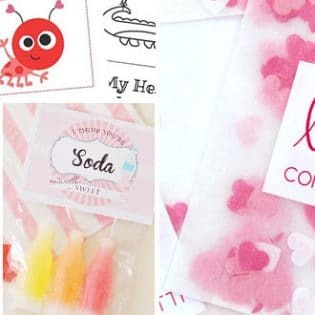 Oh, this looks delicious and I love how easy you make it look to make. 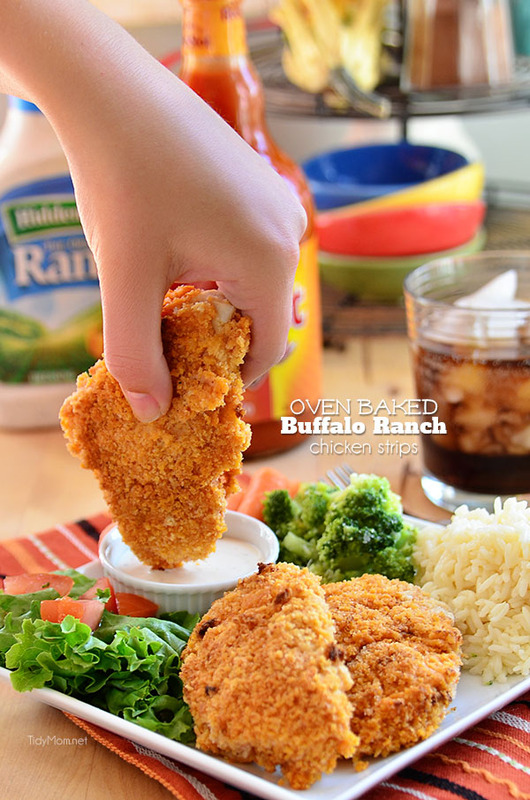 Buffalo Wings just got a healthy makeover! I love this chili and my husband will really enjoy it w/o the guilt. I’m putting it on the table tonight, Cheryl! Love making a nice pot of chili when it’s cold out! Oh YUM! I love white chili and the buffalo flavor is perfect! This is just what I need to get through winter! It sounds so good! When people are fighting over the leftovers, you know you have a winner! 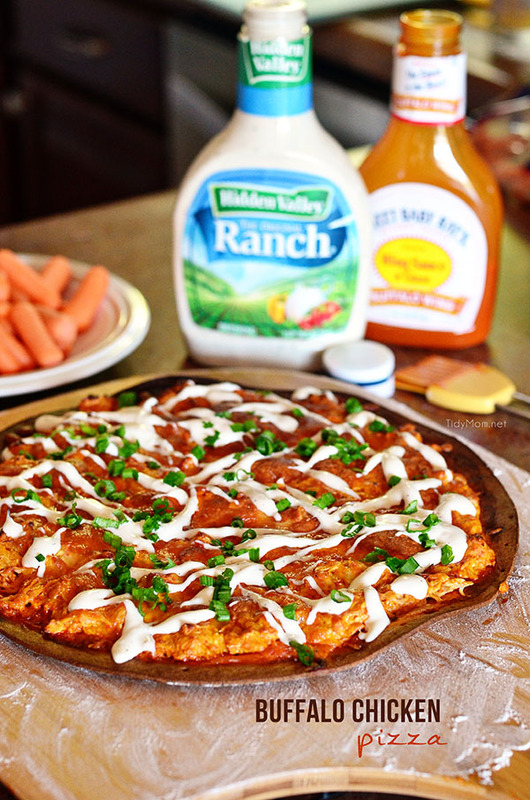 I love all of your delicious savory toppings!! We eat so much chili in this house – yes please! The temps are going to plummet overnight—and your spicy soup looks like the perfect way to warm up!!! Ooh I love chili! This recipe looks amazing! We just got a fresh snowfall today and this chili would be perfect. I make white chili often but I like the addition of the buffalo sauce. Sounds great! Chili is a favorite in my house and I love to learn new recipes! Thanks! My daughter is obsessed with chili! I’ll have to make this version next time to change it up a bit. I feel the same about making the same thing over and over! 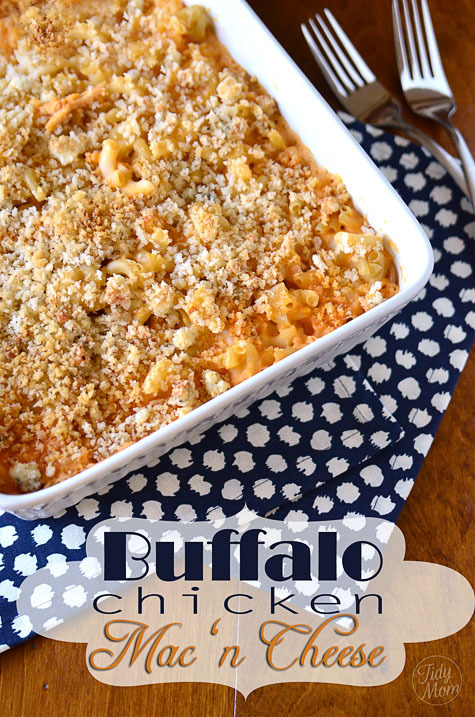 I have never tried buffalo in my chili but I’m craving it now!! Love the crumbed cheese on top, looks so delicious. Those new chili beans are great, love using them. I’ll have to look for the Bush’s Beans in a mild chili sauce. The chili looks perfect for a cold winters night. I really, REALLY like the sound of the Buffalo sauce + these white beans in chili sauce. Gorgeous chili, Cheryl! 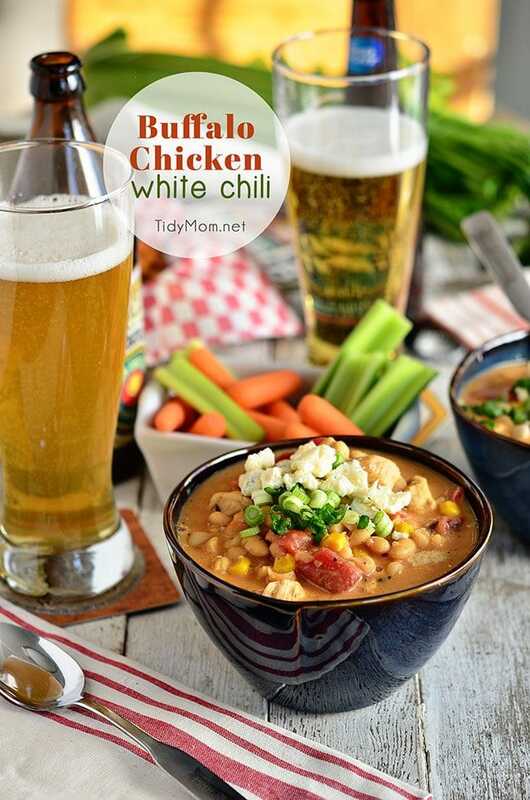 We love white chicken chili and these seems like the perfect way to kick it up a notch or two! Bush’s Beans are our favorite! Oh girl – this looks like a big old bowl of comfort! I love buffalo chicken flavors (and Bush’s Beans, as you know! I can see why you and Steve were fighting over it! Thanks a lot Cheryl. It does look amazing! It sounds like a Mexican meal and maybe that is the reason for me to love it. Waiting for more. Oh my goodness. This is over the top deliciousness. I’ve made another version this is by far the best. Thank you for the great tasty recipe. sure!! when we have leftover it’s almost better the next day 😉 enjoy! Have you ever tried making this in a crockpot? This soup was so good! My husband loved it. Very quick and easy too. Thanks for a great recipe! yay!! glad you enjoyed it as much as we do! !